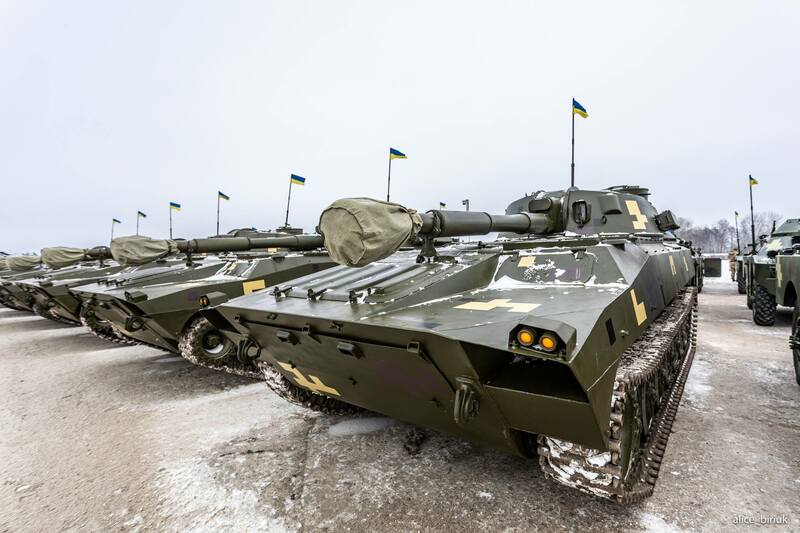 Among newly received vehicles for Ukrainian Armed Forces, dozens of BMP-1s were supplied to Ukraine by Excalibur Army, a Czech-based company. 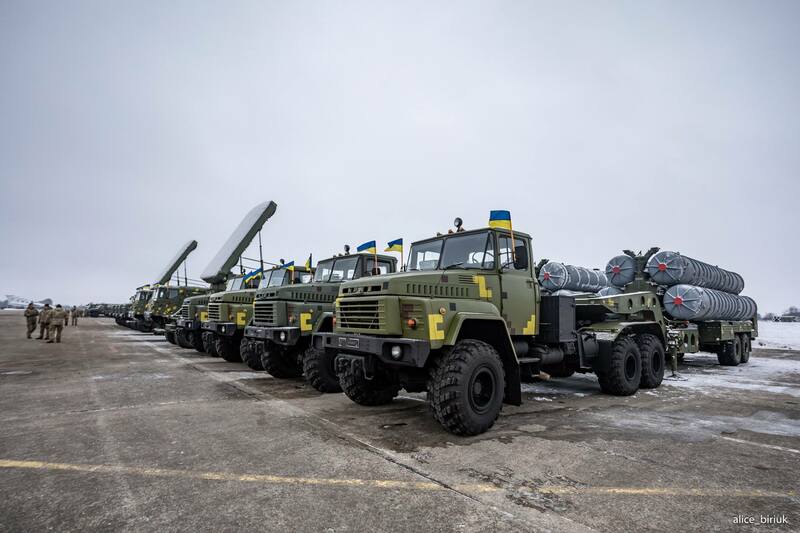 Large batch o military equipment was handed over at Ozorne Air Base in Zhytomyr by President Poroshenko. 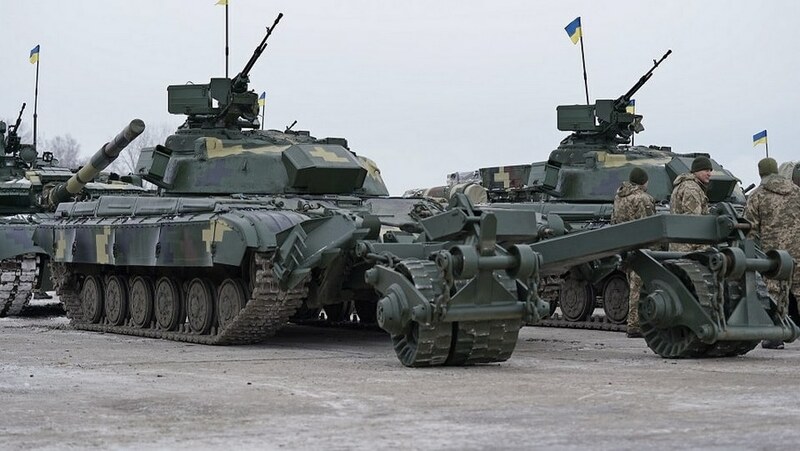 Ukrainian Armed Forces received new tanks (multiple T-64BVs, T-80s, one T-72AMT), MRAPs (Varta), IFVs (BMP-1), self-propelled artillery (2S1 Gvozdika), rocket artillery (Grad), reconnaissance vehicles (BRDM-2), anti-aircraft defense systems S-300 and several planes, trucks, UAVs and recovery systems. 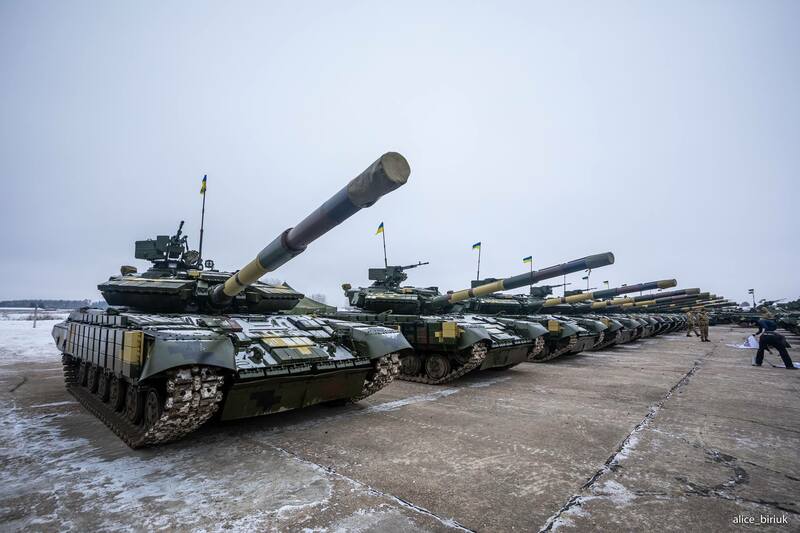 Tip: If you are unsure about military equipment of Ukrainian forces, visit our Equipment page, where you can list of all Ukrainian tanks, APCs, boats and more. 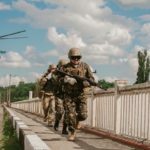 On December 4, 2018 a mysterious convoy crossed from Slovakia to Ukraine at Vysne Nemecke border crossing. 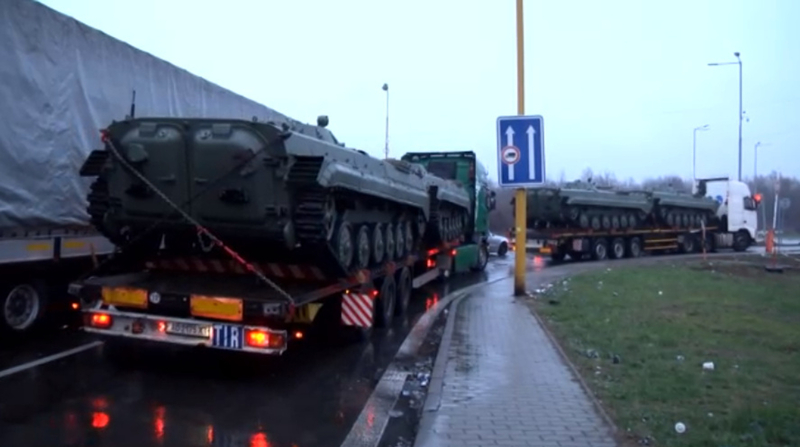 Convoy was composed of several trucks with Ukrainian plates and was transporting at least dozen of BMP-1s. 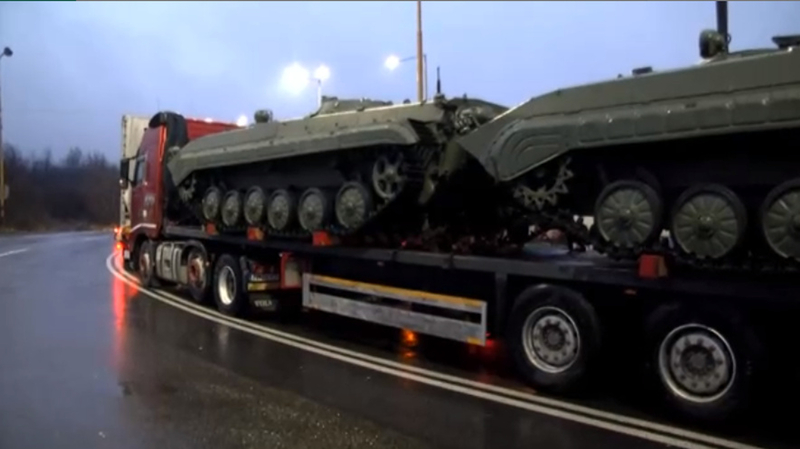 According to drivers of the convoy, the Infantry Fighting Vehicles (IFV) were recently refurbished and are in decent condition. One of the drivers later confirmed to a reporter that they were coming from Czech Republic. 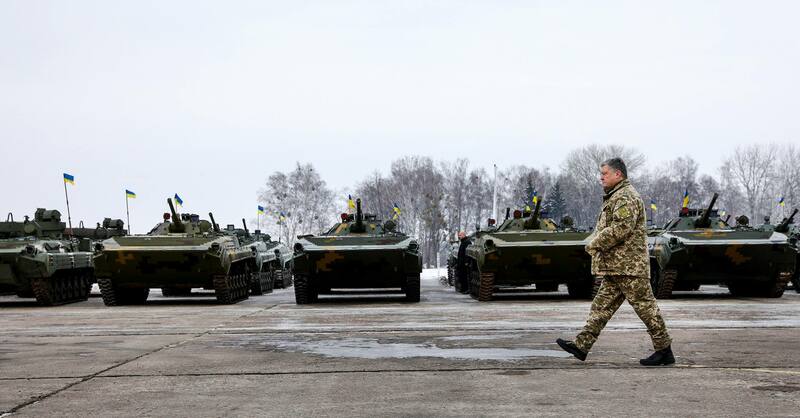 If you look carefully on the images from the ceremony, only the first row was painted in Ukrainian camouflage, rest was in the color corresponding with the APCs from Czech Republic. 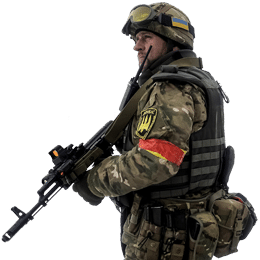 According to IgorGirkin, a deal was made between Ukraine and either Czech Government or Excalibur Army (Czech private military company) to deliver up to 200 pieces of BMP-1. 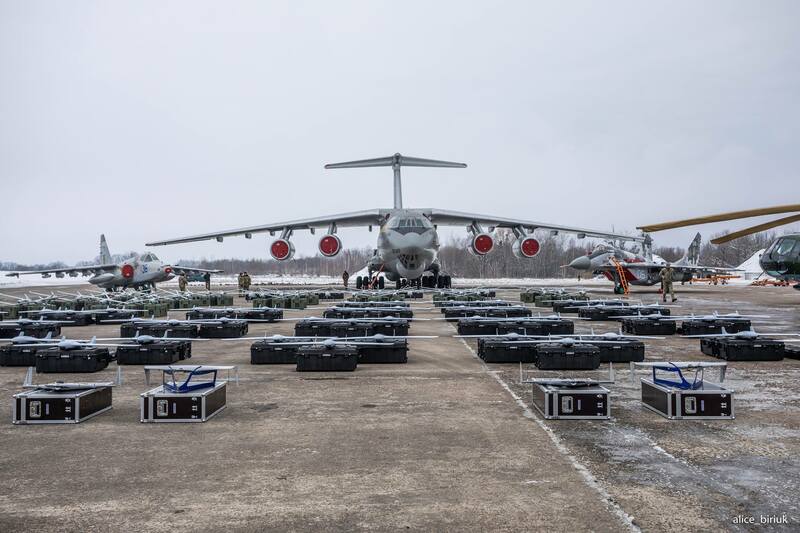 Why Ukraine has decided to keep silence about this delivery is unknown. 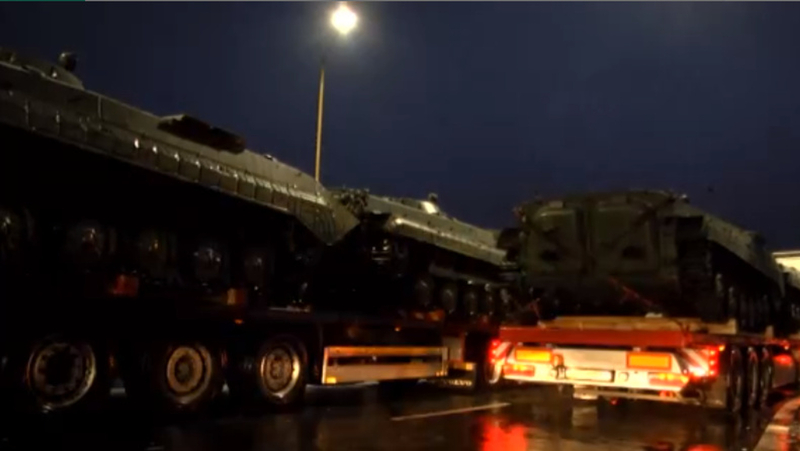 It’s not the first time Ukraine received equipment from Czech Republic. 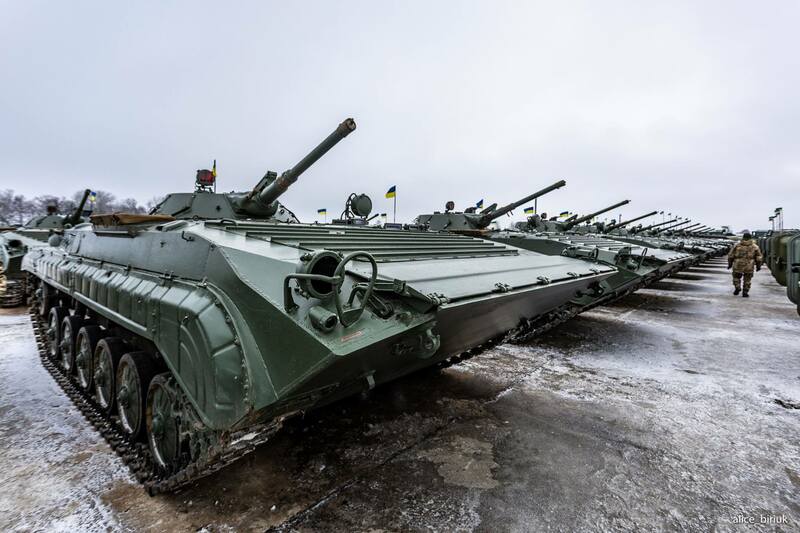 Back in May, Ukrainian side received a dozen 2S1 Gvozdika and BMP-1 from Excalibur Army. They were exported to Ukraine via polish company Wtorplast. Apart from BMP-1, there was one more interesting piece of equipment, refurbished T-64A converted into a demining vehicle. 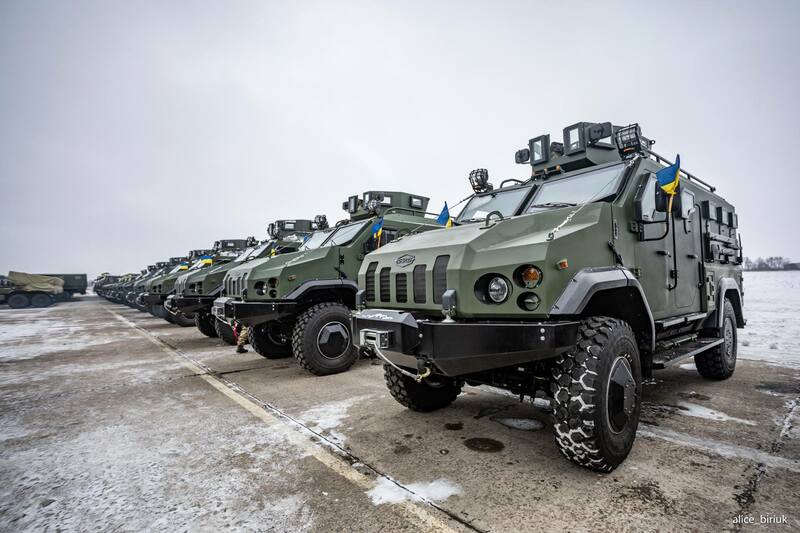 Ukraine lacked proper demining vehicles but this equipment won’t save the day. The vehicle is not equipped with any reactive protection and is based on chassis from the 60s. 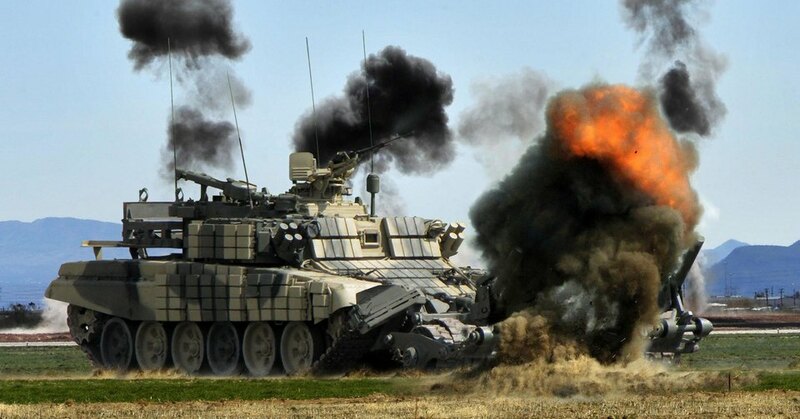 If we put it side by side with the current Russian demining vehicle, there is nothing to even compare.